Watch your participants responses being collected in real-time. 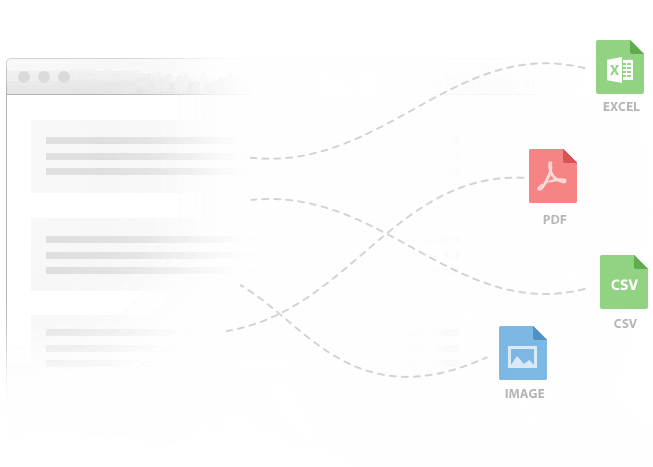 Use our built-in tools to easily analyze and export your collected data. Our survey tool automatically creates beautiful reports with charts and graphs for each of your questions. You can choose from a variety of different chart types and also apply different filters on your data. You can easily browse through every single response from your participants one by one. This gives you the full insight into your collected data. You can also dig deeper into your data by applying filters based on different criteria. We make is really easy for you to export your collected survey responses. You can download all your detailed raw data as an Excel or CSV file (which can easily be imported into SPSS). The one and only reason for conducting online surveys is to gather responses and insights from your target groups. That is why we are always planning to improve and add new features to let you better analyze your results. See below for some additional features and please feel free to get in touch if you have any questions. For each question type, we offer a wide variety of different chart types that do summarize your collected responses. You can easily switch between different chart types to find the one that illustrates your data best. All available chart types are styled with default colors. However, you can easily change those colors to match your preferences or your corporate design. That way, your survey reports will always match your branding. We make it so simple for you to analyze your collected data. You can apply many different filters including cross tabulation, that lets you filter by given answers (e.g. show only responses of "female" participants). For each of your reports you can create a link that you can share with the world. Anyone who has the link can view your report (read-only) and you can withdraw access any time.